Follow a few online steps to open your account. Then just write your ad, choose your keywords, set your budget and you’ve finished. You can adjust your daily budget and maximum cost-per-click bid whenever you like. And if you need to stop or re-start your campaign at any time, you can do that too – quickly and for free. Don’t worry about getting everything perfect at first. You can always play around with things like ad wording, keywords, locations and other settings later on. We'll teach you the basics of Google AdWords, help set up your new account and create your first ads – for free. Based on your business needs, our team will help define your advertising goals, identify opportunities and advise on budgets. 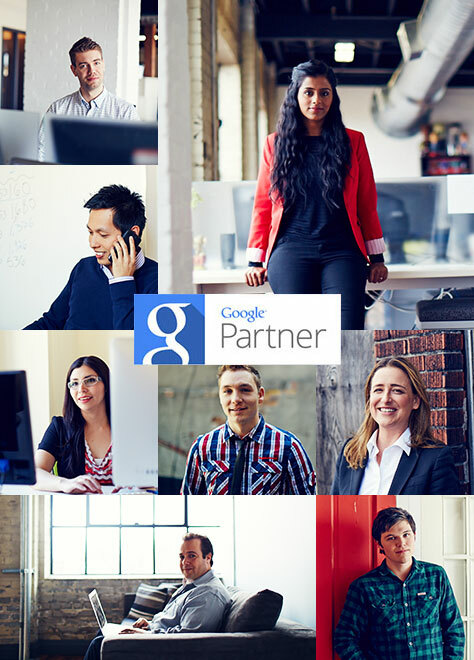 To really help drive your advertising success, our team of AdWords specialists are just a phone call away . Use their expertise to create and run your ads long-term. Save time, by having them run reports, track and continually improve your campaign. Benefit from other paid-for services, like online marketing strategy, web design, eCommerce and search engine optimisation.